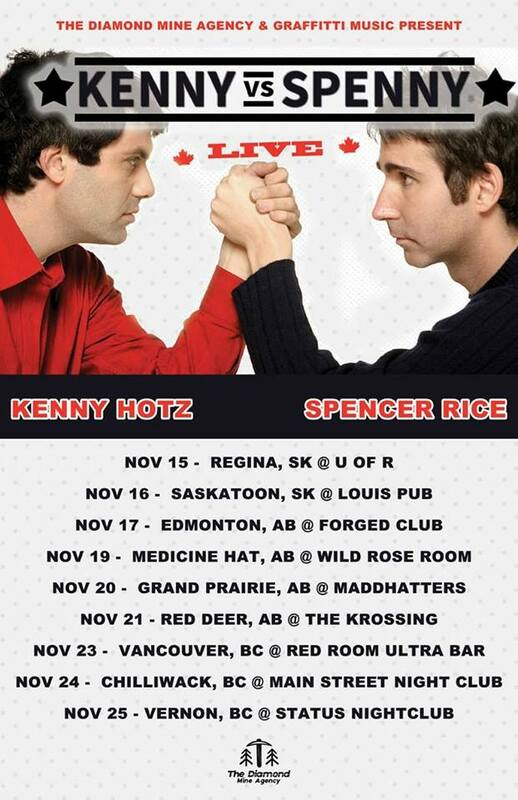 An evening with Kenny vs Spenny! Doors will open at 7PM, our main opener is Mark Hughes, Check him out he’s hilarious! First come first serve for seating so arrive early!! Check the Facebook event page out. If you have any questions post there.